Principal Cast : Hailee Steinfeld, John Cena, Jorge Lendeborg Jr, John Ortiz, Jason Drucker, Pamela Adlon, Stephen Schneider, Glynn Turman, Len Cariou, Gracy Dzienny, Ricardo Hoyos, Fred Dryer, Lenny Jacobsen, Voices of Dylan O’Brien, Angela Bassett, Justin Theroux, Peter Cullen, David Sobolov, Grey Griffin, Steve Blum, Jon Bailey, Kirk Baily. The fan-favourite character from the Transformers saga garners his first solo live-action film in Travis Knight’s soft reboot/re-imagining of the Michael Bay-era version of the property. 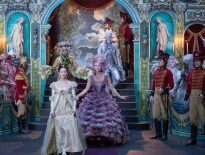 With critics and fans alike calling for a complete reset following the sheer awfulness of Bay’s The Last Knight, Paramount seemed content to pursue a different tack for their most commercially valuable franchise, and gave a smaller budget to the Kubo & The Two Strings director to bring a more intimate and personal story to the until-now global extinction antics the previous films had exhibited. I was among many who felt Travis Knight’s filmmaking sensibilities might have otherwise been utilised to better effect elsewhere, given his prowess with character and nuance – something the Transformers films have eschewed, let’s be honest – but was surprised to find Bumblebee was a film with plenty of heart, soul and, like very few of Bay’s instalments, fun. Following their rout from Cybertron, the Autobots have scattered to the stars. One of Optimus Prime’s young warriors, Bumblebee, lands on Earth, is understandably attacked by a military squad and then by Decepticon solder Starscream, before his systems fail and he shuts down. Meanwhile, young teen Charlie Watson (Hailee Steinfeld) dreams of escaping her humdrum life, living with her mother and stepfather, as well as her younger brother, in a household she is increasingly frustrated with. When she encounters a battered and broken Bumblebee and takes him home, unwittingly putting herself into harms way: Bumblebee is being hunted by two Decepticon operatives, and are using human elements to track him down. Finally. Finally we have a Transformers movie that taps into that sense of awe and wonder and cool the original Generation 1 cartoons continue to have. Bumblebee is set in 1987, around the height of the original popularity of the property, and taps into that sense of nostalgia we crave to deliver a sweet coming-of-age story with Hailee Steinfeld at the center. Knight and his team give the Autobots and Decepticons their earliest iterative look, harkening back to the 80’s cartoons in a way that feels right, more right than the Transformers have had in nearly a generation, and with the steady stream of late-80’s pop culture references and callbacks (OMG, Alf!) and a genuine sense of fun, Bumblebee ticks all the boxes as far as this reviewer is concerned. What the film gets right primarily is it’s “girl meets car” arc, with Steinfeld’s Charlie Watson a frustrated pubescent teen embarrassed by her mother and stepfather, desperate to impress the local hunk, and wanting nothing more than to escape her “terrible” life. Steinfeld gives the role just the right amount of forlorn abandonment, the loss of Charlie’s biological father the crux of her general resentment of life. 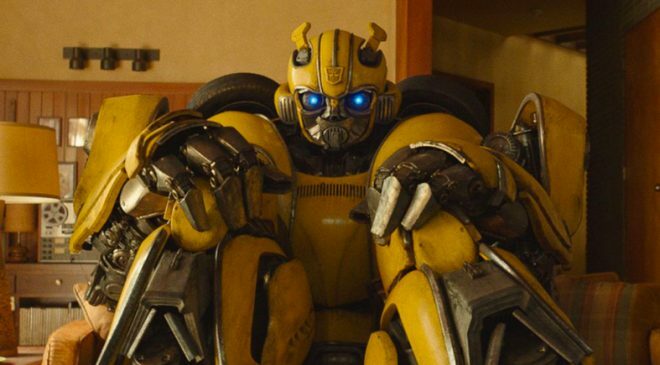 This paternal loss makes her an approachable character – moreso than Shia Labeouf’s Sam Witwicky ever was – and in true adventure film style, the wonderment of discovery is cleverly interwoven into Bumblebee’s friendship with the girl. 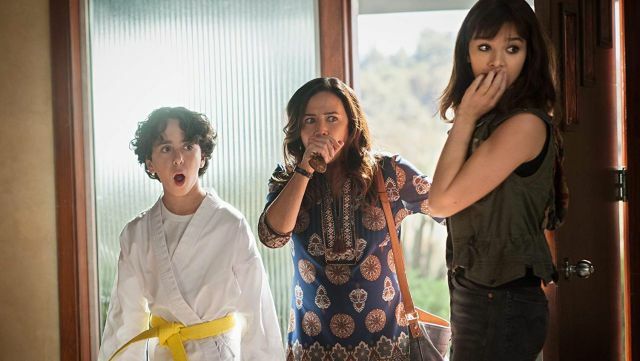 Jorge Lendeborg Jr plays Charlie’s next-door neighbour and potential love-interest, Memo, and his awkward nerdishness is pitched just right in terms of cringeworthy and overbearing. The friendship between Charlie and Bumblebee here is really well developed, feels natural and has a whole load of heart behind the dialogue. Of course, Steinfeld’s performance is central to it all working, and the actress – as she’s done her entire career – proves herself worthy of being an A-list talent. Because we’re invested in her, we’re invested in Bee, and as a consequence we’re invested in the film. 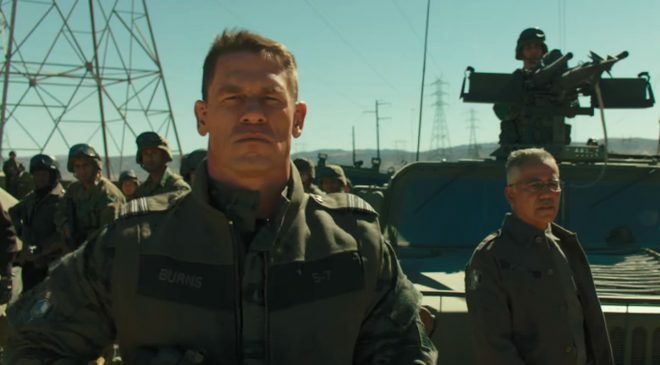 In terms of the film’s villain, John Cena’s angry military agent provides limited human interest, a token resistance to the arrival not only of Bee but also two Decepticon operatives, Shatter (Angela Bassett) and Dropkick (Justin Theroux), who co-opt human tech to locate their Autobot prey. John Ortiz plays a minor role as an enthusiastic scientist hoping to be friends with the Decepticons (who fool everyone), and bit-parts to Pamela Adlon and Stephen Schneider, as Charlie’s mother and stepfather respectively, offer humour and respite from the more militaristic actions sprinkled throughout. 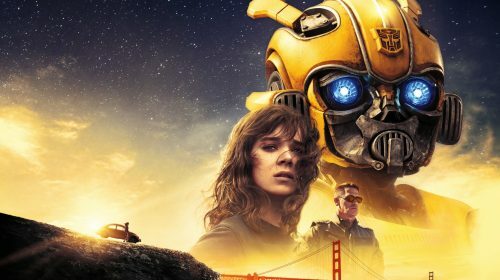 In what I found a pleasant surprise, Bumblebee feels a lot less End Of The World and more inward-looking, a lot more small-scale which works for the story at hand; the film takes place in a smaller beachside Californian town north of San Francisco, and features a far smaller contingent of characters to deliver. 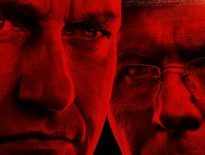 By reducing the scale of the franchise, Travis Knight manages to make it accessible to us, giving it the human scale lacking in the Bay films. Whereas before both Labeouf and Mark Wahlberg became lost in the histrionics of Decepticon/Autobot conflict, in Bumblebee we never lose sight of Charlie’s centrality to the story, and our human connection to her makes the stakes feel more acute. Travis Knight successfully resets the template on how to do Transformers right. Gone are the shrapnel-flinging antics of Michael Bay and the junkyard dog designs we all loathed, replaced by clean-lined characters and action sequences that actually make some sense. The film engenders a sense of wonder and friendship, has a load of emotion behind it, and genuinely brings the joy. Bumblebee is just great fun!